A good hat was crucial to a respectable lady’s ensemble in Victorian times, as I’m sure Evelina Cooper would tell you if could. 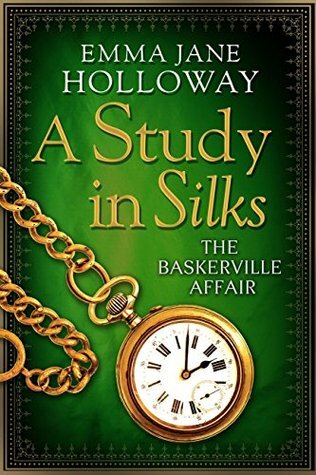 Our protagonist in A Study in Silks is also the niece of the great detective Sherlock Holmes, plucked from a childhood of growing up with a traveling circus to be dropped into a world of lords and ladies, and now she must learn to live a life caught between two worlds. But Evelina’s famous uncle’s work has clearly rubbed off on her too, given how eagerly she aspires to follow in his footsteps. 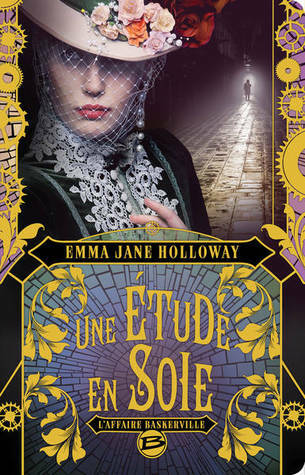 When a young servant girl is killed at the home of her best friend, Evelina does what she can for the investigation, going as far as to use her gift of the Blood, which allows her to communicate with minor spirits and recruit them to her aid. The French version is easily my favorite. Now that is one elegant hat! Also, this 2D image doesn’t do the actual cover enough justice. 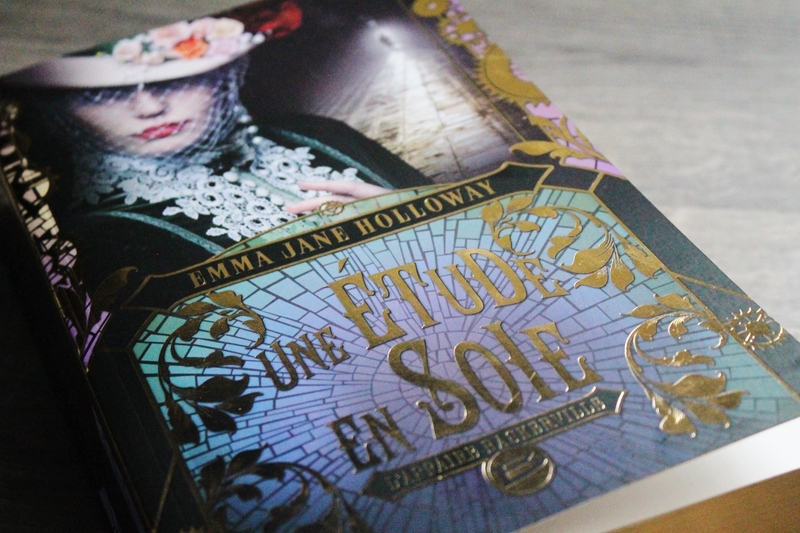 The decorative gears and flowers around the side of the book, as well as the lettering, are in fact gold foil, and just to give you an idea of how beautiful this is, I found this photo of the actual Bragelonne edition on the net. Haha, so “MG”…I just think the second one’s super bland! I like the third one as well. The hat on the first cover doesn’t stand out in any way. It blends in with all the dark reds. I imagine that the third one is very striking when you see it for real. It certainly works. Yeah, that photo I linked is just a taste. I love gold foil on covers, it really stands out. The third one gets my vote, too! It’s a little busy, but the color palette is very pretty. Yes, it’s very busy, though the 2D cover does’t do it justice, sadly. 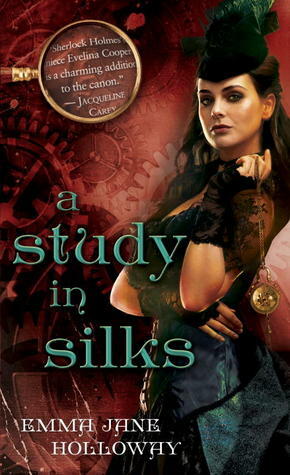 In the photo I linked, the gold foil really brings out the color palette even more! It is quite a stylish hat! I like the flowers on the third cover, but the first one is simple and elegant and honestly I think it fits the character’s persona more. The French one is definitely outstanding. Love it! No comparison- although the Piatkus cover is nice too (even if there’s no actual hat in it). I like your choice too – it’s absolutely the best one.